PREVIOUSLY- That rebuild this season is accounted for some ugly losses to teams that UGA has historically dominated including losses to Duke, Kennesaw State, and last Sunday to Siena. That Siena series was supposed to get the Dawgs back on track but they failed to get the sweep. 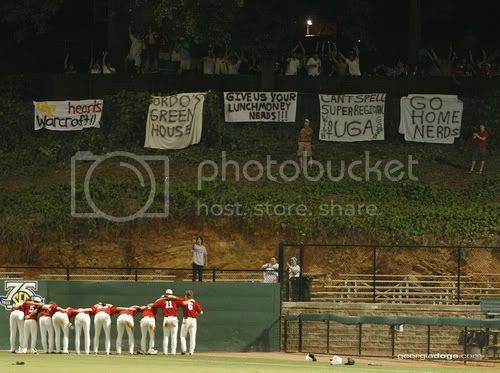 If you think Auburn is snake bit then you haven’t been around UGA Baseball. They lost their potential 2nd baseman, Chance Veazey, for his entire career after he was paralyzed in a scooter accident. 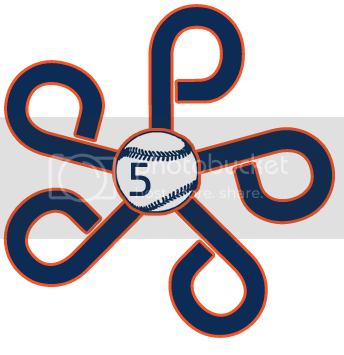 Recently, their starting SS Kyle Farmer was lost for 3-6 weeks with a wrist injury. 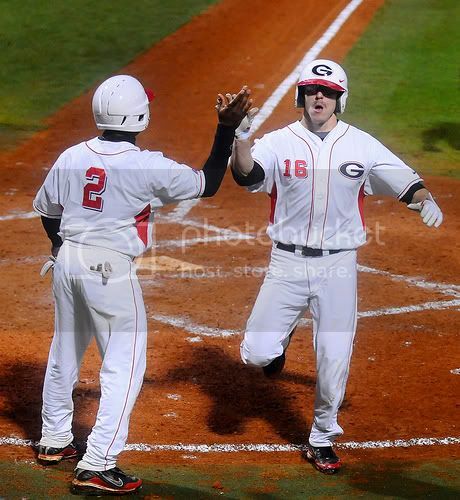 Since Farmer went out, UGA is 2-6, with those 2 wins coming last weekend against Siena. 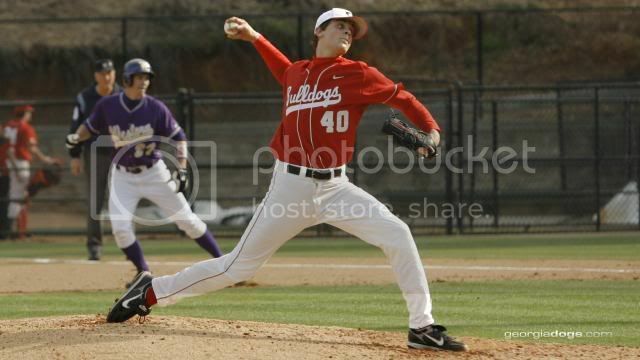 As a freshman in 2008, Grimm saw action in 19 games including seven starts while going 0-1 with a 10.91 ERA in 31.1 innings pitched. He finished the year with 27 strikeouts while walking 24 batters. His breakout season was in 2009 when he made 15 appearances (all starts) as he went 4-4 with a 4.15 ERA in 78 innings of work. He did end up tying for the team lead with 72 strikeouts but struggled a little bit with his control as he walked 26 batters while throwing 13 wild pitches and hitting six batters. He spent the summer of 2009 in the Cape Cod Baseball League with the Cotuit Kettleers as he started eight games. He finished the season with a disappointing 1-4 record but a respectable 2.84 ERA in 44.1 innings of work. He was strong with 47 strikeouts while still having a high walk total of 14 while hitting three batters and tossing three wild pitches. If Grimm can cut down on his high walk totals on the college mound, then he can be one of the top pitchers in the SEC and potentially in the country. It is the only thing holding him back right now from being an elite pitcher. This season Grimm (below) is 1-1 with a 5.40 ERA. He leads the Red and Black in Ks (21) and ERA by a starter. PREVIEW- Auburn really couldn’t have drawn better a team to open SEC play with. UGA is limping. Hopefully with the midweek stretch against AAMU the Tigers can get refocused after the gut busting losses against ASU and take care of business. Getting a jumpstart in the SEC is huge for Auburn’s hope of returning to Hoover. I’d still say Auburn’s pitching staff is in flux after last weekend and we’ll have to wait and see who Coach John Palowski trots out. Cole Nelson had the worst outing of any Auburn pitcher last weekend and the Tigers will desperately need him to regain his early season form. If you’ve followed Auburn at all this season you know. It all comes down to our pitching. We will have to see if Grimm has recovered from the illness that caused him to be pulled early in his last start (against Siena). Georgia is a very hittable club and offensively, I don’t have any doubt about the Tigers ability. Last Sunday’s pitiful showing notwithstanding, Auburn has shown that it can hit just about anybody. Defensively, Auburn is a different story and the lead character is Dan Gamache. I seriously don’t know what CJP will do with him in the lineup. 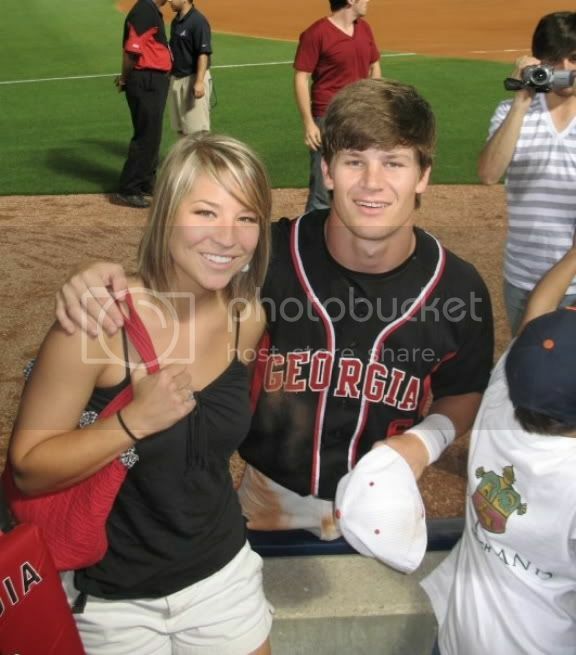 I don’t want to call his glove a liability but he leads Auburn in errors and this past weekend, they were costly ones. In a pinch runner situation, Gamache excels. In a DH role? He’s still fairly solid. However, at 3B I just don’t feel comfortable putting him there. Justin Bryant has showed he is more than capable in the field and at the plate to assume that role. Gamache’s time will come, but for now? It’s just not that time. PREDICTION- This is not a prediction as much as it is a plea. Auburn has to win this series. A Sweep is crucial. I hate to put so much pressure on Auburn this early in the season, but if Auburn is going to make any ground in the SEC and respond from that abysmal Arizona State series, NOW is the time. 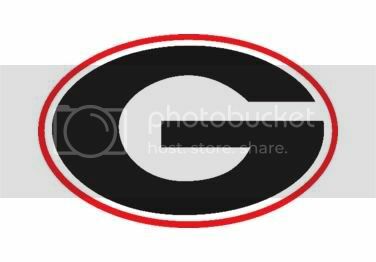 If any team is beatable in the SEC right now, it’s UGA. They are without a key player at SS, their pitching has been suspect and they are young, super young in fact. Basically, Auburn’s chances in the SEC race are going to boil down to one thing: Auburn has to be better than 4 teams in the league. Right now 3 of those teams are easy to pick: Mississippi State, Tennessee, and UGA. If there is any hope for Hoover, you have to take series from these clubs. AUBURN MUST SWEEP GEORGIA AND AT THE VERY LEAST WIN THE SERIES.